LaTonya Cockrell’s first pass at a bachelor’s degree got her within sight of the finish line. But it took discovering the University of Arkansas System eVersity to get her the last few yards. With a family to care for, Cockrell’s life was full, but coming so close to a degree always nagged at her. She remained steadily employed over the years, most recently by the Winthrop Rockefeller Institute, but the money wasn’t what it could have been. Finally one day, she made up her mind to change the direction of her life. “I spoke to the IT director [at work] and I was asking him about school,” she said. “It’s so expensive. I looked into several online colleges and I just couldn’t afford it. He said, ‘Why don’t you check out eVersity?’ I was like, ‘eVersity? I’ve never heard of that.’” Cockrell looked it up, nonetheless, and was impressed by what she saw. Unlike the other options on her radar, eVersity offered the flexibility she needed at a price she could afford. Despite having found a school that checked all of the boxes, Cockrell still recalls being very nervous when she signed up for her first eVersity class. “I really wanted to do it and I was just gung-ho about it like, ‘I’m going to do this. This is one thing that I’m going to finish,’” she said. She admits the thought of online classes and not having a professor in sight to answer questions about assignments presented a challenge in her mind. 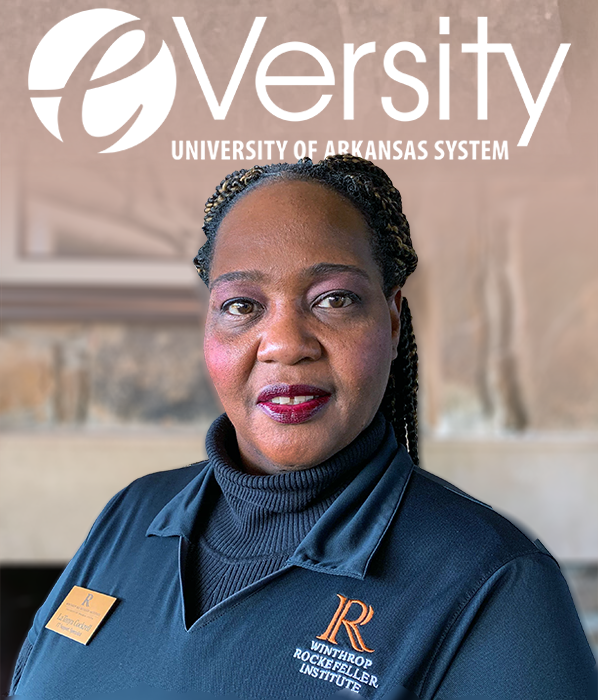 Now with her associate’s and bachelor’s degrees from eVersity in hand, Cockrell has changed careers at the Rockefeller Institute and taken a job in her IT field of study there. She sees a lot of opportunities opening for her that were previously beyond her reach. She said she would recommend eVersity to anyone who, like herself, got off track and is looking for a way to finish their degree, even people who would never think of setting foot on a campus after having not taken a college class in years.